A staple beauty goodie, the sugar scrub can help you get rid of flaky skin on your lips, soften rough, dry skin on the body, and do away with dead skin cells on the face. A DIY sugar scrub you can make at home can also include your favorite nourishing and/or detoxifying natural ingredients. Here are 15 DIY sugar scrubs you can make in 5 minutes or less with lavender, coconut oil, lemon, and a wide selection of other natural ingredients. Brown sugar – 1 ½ cups. Almond Oil – one-quarter cup. Alternatively, you can use coconut oil, olive oil, or grape seed oil. Lavender Essential Oil – 8 drops for an intense fragrance. Using just these three ingredients, you can rapidly whip up this DIY sugar scrub for the body. Check out the tutorial posted by LemonLimeAdventures to find out how to make this beauty bag goodie in less than 10 minutes. This DIY sugar scrub recipe comes from Wellness Mama. Before judging it as a mere variation of the basic recipe for sugar scrub DIY, just keep in mind that it’s a yummy one – not to mention all the skincare benefits of vanilla extract and vitamin E oil. You can even use this brown sugar scrub on your face and lips thanks to its last nourishing and protective ingredient. You might want to check out the ingredients before heading to the how-to tutorial. Brown Sugar – 1 (one) cup. Vitamin E Oil – ½ teaspoon. Vanilla Extract – ½ teaspoon. Coconut Oil – ½ cup. The ground coffee and coconut oil in this DIY sugar body scrub are very rich in antioxidants. This coffee sugar scrub not only smells divine, but can also make your skin firmer while cleaning it and removing dead skin cells. The step-by-step tutorial is detailed on this Coconut Mama page. Ground Coffee – 1 cup. Brown Sugar – 1 cup. Vanilla Extract – 1 tablespoon. 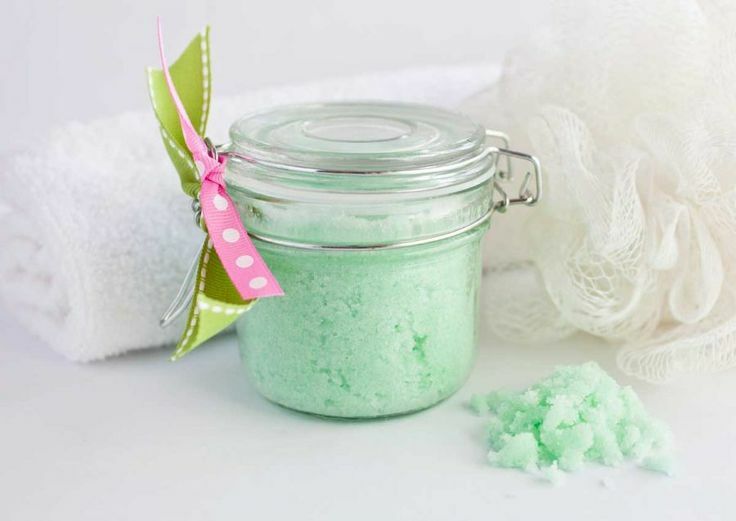 Easy-to-make and with a fresh scent, this sugar scrub can be used both on the body and face. Nevertheless, the lemon essential oil may be too rough for the lips, so we would avoid using it on this tender spot. Cane Sugar – 1 (one) cup. Olive Oil – ¼ cup. Raw Honey – 2 (two) tablespoons. Rosemary, dried – 2 (two) teaspoons. Lemon Essential Oil – 15 drops. Lavender Essential Oil – 15 drops. The website also provides a template for sticker labels, which might come in handy if you’re preparing a larger batch to give away as gifts. Peach tea-infused DIY lip sugar scrub, anyone? This delicious recipe from SavyNaturalista uses organic peach passion tea to get that delicate summery fragrance. You can also add peach essential oil for more intensive skin care and nourishing properties, as well as for an even more delicate peach perfume. Brown Sugar – ½ cup. Peach Passion Tea Bags – 4 (four). Peach Essential Oil – 10 (ten) drops. Coconut, canola, or another odorless oil. Peach & passion fruit tea bags. Peach & passion fruit essential oils. You should empty the tea bags and mix the tea leaves and fruit chunks, if any, with the other ingredients taking into account that the coconut oil should go in last. If your tea of choice has larger fruit chunks, it would be a good idea to grind it beforehand to avoid scratching your skin. StoryofFive has a great tutorial for a honey-oatmeal DIY sugar scrub. Oats are great for exfoliating and nourishing the skin, which will only help brown sugar work its magic. Due to the nourishing and moisturizing properties this sugar scrub packs, it can be used on the body, the lips and on the face. Even though the essential oils are optional, if you want to add some natural fragrances which are also beneficial for the skin, go for rosemary essential oil or lavender essential oil. Essential Oils – 10 drops. Then, mix them all together adding the greasy ingredients last. Thanks to the ingredients found in the pumpkin pie spice – specifically, the cinnamon – this DIY sugar scrub also has anti-inflammatory properties. Brown sugar – 2 (two) cups. Coconut Oil – ¼ to 1 (one) cup. Eucalyptus Essential Oil – 10 drops. This sugar scrub will take great care of your skin and pamper you with the rich, yet fresh smell of apple and cinnamon. You will, however, need to invest a little more time and effort into this one. Start by peeling the apple, cutting it in quarters or eights, and make a puree out of it. Then, add the rest of the ingredients and mix well. Given that fresh apple is used, this sugar scrub needs to be stored in the fridge and will last about 2-3 weeks. Fresh/frozen cranberries – 1 (one) cup. Sugar – 2 (two) cups. Orange Essential Oil – 10 drops. Grapeseed, olive, or coconut oil. 2 bags of green tea. First, use one of the tea bags to brew some tea – you will only need about 1/8 of a cup, so you can make it as concentrated as you’d like. Then, wait for it to cool down and mix all the other ingredients together – including the green tea leaves from the second tea bag. The latter will make this DIY sugar scrub more aesthetically pleasing while also adding its natural aroma to the mix. This particular sugar scrub can be stored up to a few months in a sealed mason jar at room temperature, depending on how warm it is. However, you can also store it in the fridge to make it last longer. This concludes our DIY sugar scrub ideas list. The best thing about homemade sugar scrubs is that the recipes are highly customizable. While similar products can be quite pricey in specialty stores, these do-it-yourself sugar scrubs cost just pennies to make. You can store the sugar scrubs you make at home in the fridge, in tightly sealed jars, for two or even 3 weeks. 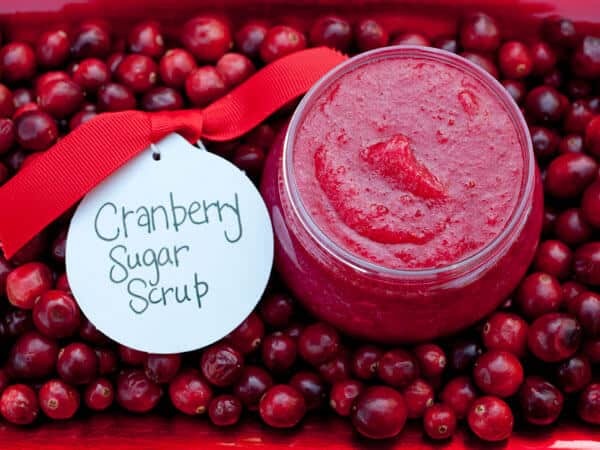 However, for the recipes using actual fruit (like in the cranberry recipe above), you should strive to use the scrub in a week’s time. And if you haven’t found what you were looking for, we suggest glancing over our 6 recipes for DIY body scrub & 10 DIY lip scrub tutorials. Good luck mixing and have fun using (or gifting) them!